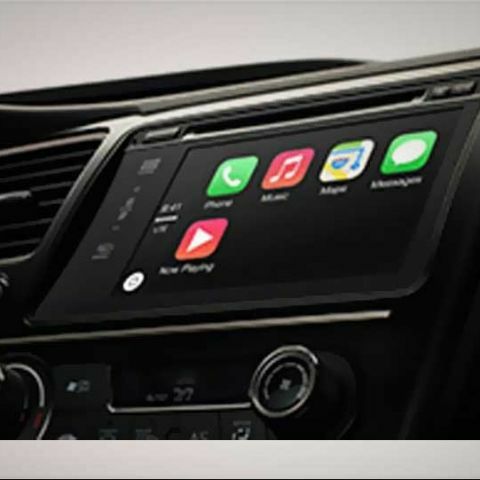 Apple's new CarPlay feature will allow an iPhone to integrate with a car's built-in infotainment system and make use of Siri and Apple Maps for multiple functions. Apple revealed its new CarPlay feature at the Geneva International Motorshow on Monday. CarPlay allows deeper integration between a user’s iPhone and his/her vehicle and will be introduced in the vehicles by the manufacturers themselves. Apple claims that CarPlay’s deep integration with the car means that this version of iOS can be controlled with the same methods that a car’s dashboard display system is controlled whether with the help of touch or dials and buttons. CarPlay will only support the iPhone 5S, the iPhone 5C and the iPhone 5, and there is no word if that list will expand to include any of the iPads or older iPhones. According to a new webpage from Apple, CarPlay will rely heavily on Siri, Apple’s voice-assistant that was introduced with the iPhone 4S. A user will be able to enable Siri by holding down a voice-control button on the steering wheel. Thereafter, Siri will be able to perform multiple functions such as making and returning calls, reading, sending and replying to text messages and playing music. CarPlay will also let you use some popular apps that will be redesigned for use inside a car. Currently the list of such apps includes Podcasts, Beats Music, iHeartRadio, Spotify and Stitcher, and Apple has said that the list of redesigned apps will continue to grow. Is Apple Car being secretly built in buildings named after Greek gods? Apple also says that CarPlay will also make its own Maps app more useful inside cars. 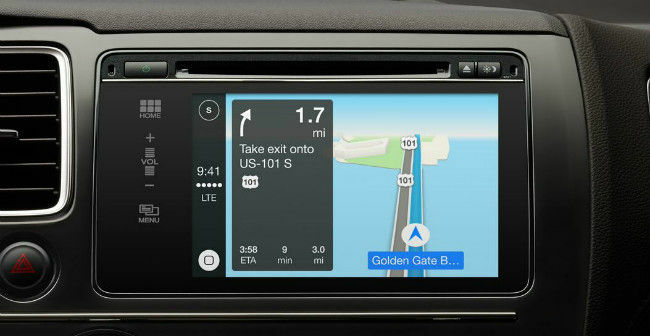 Apple Maps will now be visible on the car’s dashboard display and will provide turn-by-turn navigation as usual. CarPlay can also help Apple Maps predict destinations and routes by spotting them from the user’s calendar, contacts, messages and emails. 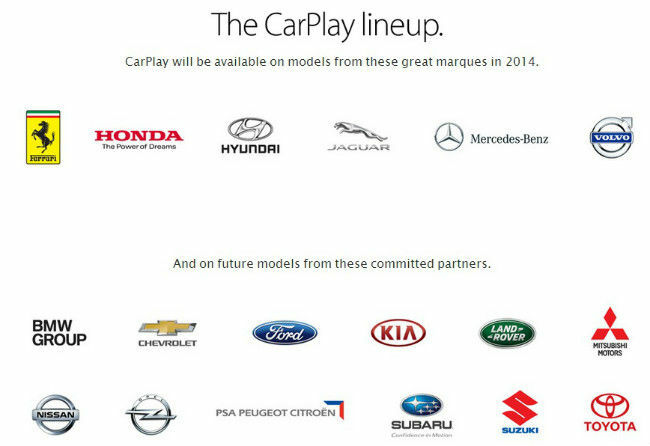 Apple has released a list of car makers who will be introducing CarPlay in their 2014 models. This includes companies like Hyundai, Honda, Ferrari, Volvo, Jaguar and Mercedes-Benz. Apple has also stated that other car makers like Ford, Suzuki, Chevrolet, Toyota, Nissan and BMW (among others) have committed to integrating CarPlay into their future models. After launch, Apple’s CarPlay will compete against pre-existing in-car infotainment systems like Microsoft’s Sync (as seen in the Ford EcoSport in India) and the car manufacturers’ own homebrewn options, both of which haven’t exactly set the world on fire. This brings us to India. Looking at Apple’s track-record it seems highly unlikely that Indian car owners will see CarPlay coming here this year. This is primarily because the feature has not yet been launched in the U.S. or Europe and we should expect some serious time gap between those launch dates and an Indian one. CarPlay’s significant reliance on Siri also poses a problem in India. Siri has not worked really well with Indian accents even though the voice-assistant has been available in India since 2011. Also, Siri does not support local contextual actions inside India which is a big deal. Another reason Apple will have to do some significant work before introducing CarPlay to India is the laughably pathetic performance of Apple Maps in India. Apple Maps continues to be terrible when it comes to navigating Indian roads or even finding addresses and locations in India. The only silver lining for Indian car owners interested in CarPlay is that the list of car manufacturers that Apple revealed includes quite a few names (Hyundai, Honda, Ford, Chevrolet, Suzuki) that consider India to be an important market. Hopefully, these manufacturers can pressure Apple into introducing CarPlay to India sooner rather than later, and also to improve integral features like Apple Maps and Siri. Are you looking forward to CarPlay being introduced in Indian cars? Let me know in the comments below or on Twitter @postwar. What is google unmanned car??? Is it worth to buy smartphones of indian company ?